Peacebird is a major fashion design/manufacturing company based in Ningbo, China to the south of Shanghai. 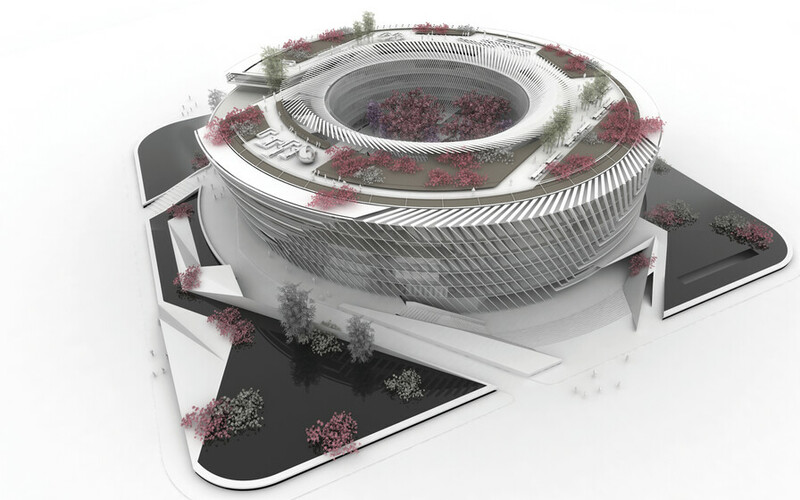 The design brief is to create a new headquarters building on a land zone allocated by the Government of Ningbo for business and industry. 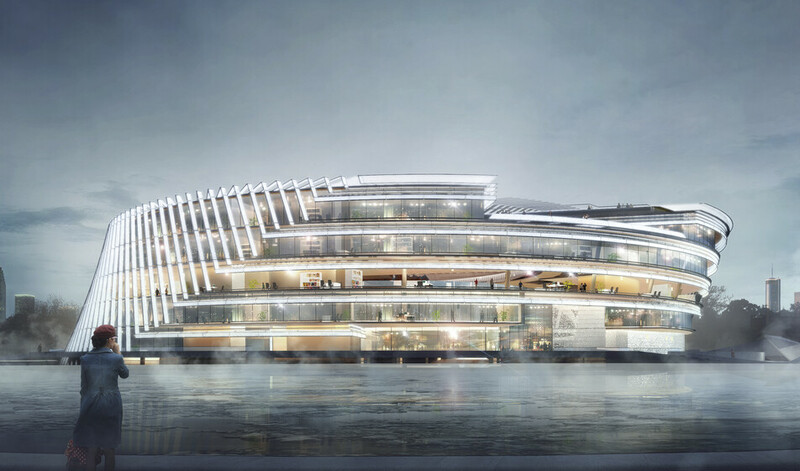 The building will create a new ‘iconic’ form on the Ningbo Skyline and celebrate the company values and ideology with an intrinsic link to contemporary Chinese culture. The project aspires to be an exemplar building in the region and world markets. As such, the building has been designed to respond at every level to both the local and wider environment. 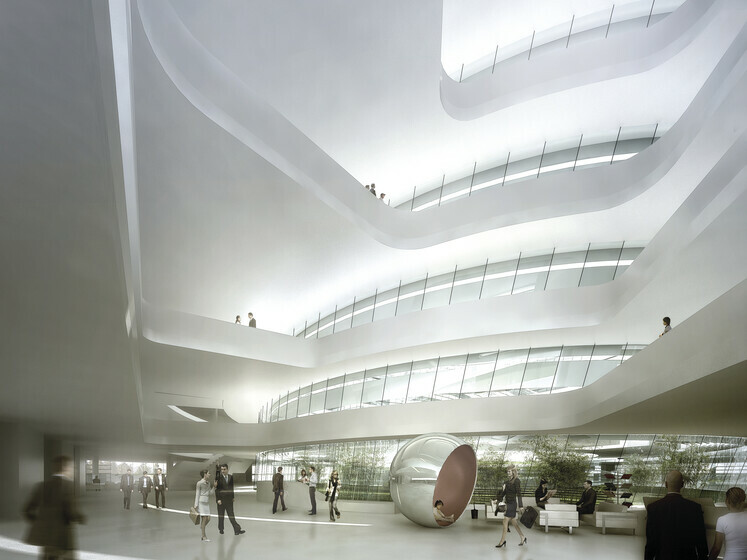 As a circular building, the façade will have elements that are constantly orientated towards the sun and thus be affected by solar gain at various times of the day throughout the year. Extensive solar insolation and daylighting analysis was carried out to identify distinct regions of each façade and specific fenestration and shading requirement within these bands of façade. Comprehensive mixed-mode ventilation strategies have been developed to ensure that air-conditioning is only used if absolutely necessary. The air conditioning itself consists of VAV FCU for the office area and displacement ventilation for the basement areas. Fresh air intake for the basement ventilation will be brought in via a ground buried earth duct system where air intake will be pre-conditioned by the stable ground conditions and further reduce air-conditioning energy consumption. Building Integrated photovoltaic panels on the roof will be utilised directly by electric car and bike charging points.